The Festival as usual will start (STARTED??) with the lighting of the great Christmas tree on th 8th of December in Piazza Duomo: from that moment, which symbolically starts the Christmas festivities, the main events of F-light (will/have??) come alive. This year the theme of the event will be the word frontier, understood as horizon and limit, in both the physical and metaphysical sense. Light in fact illuminates new scientific scenarios, but also cultural, social or geopolitical ones, opening new visions and restoring to us all the things of the past that are yet to be discovered and appreciated. 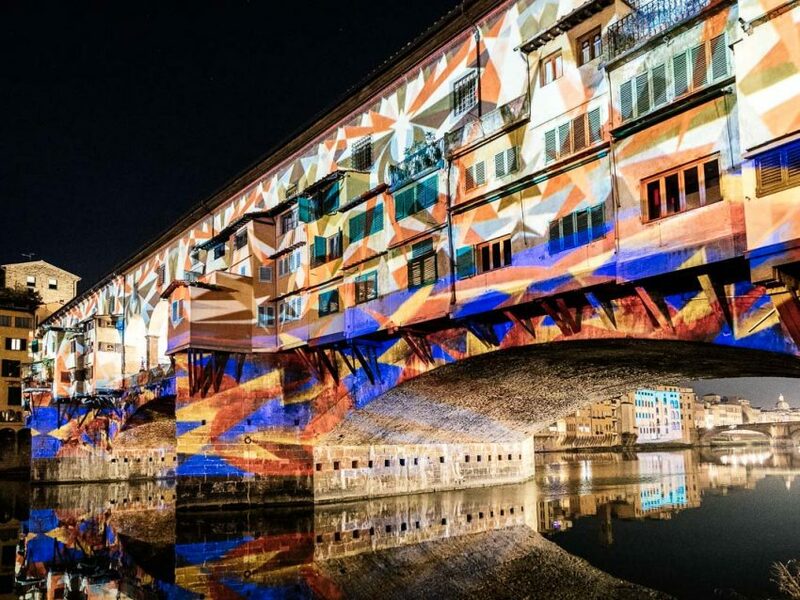 The frontiers of light will be investigated through art workshops and cultural activities, including the event “Giorgio Vasari recounts: the Salone dei Cinquecento seen in a new light”, torch-lit paths in museums and many other thematic activities. The scientific laboratories, curated by LENS-European Laboratory for Non-linear Spectroscopy – will instead take place at Poggio Imperiale.